to helping you look and feel your best. We specialize in surgical and non-surgical cosmetic correction of age related changes in both men and women. As a world renowned center for liposculpture/Smartlipo body contouring, we also offer a full spectrum of office based plastic surgery services including breast augmentation, tummy tuck, “mommy makeover”, rhinoplasty (nose job), and blephoroplasty (eyelid surgery) as well as others in our fully accredited state of the art Operating Room. For those preferring less invasive options, we also offer non-surgical rejuvenation, also known as the liquid facelift, using Botox ™, Juvederm ™, and Voluma ™. We also have state of the art solutions for cellulite with the most advanced system available, the Venus Legacy ™. You will also find the newest most advanced system for tattoo removal, the Eclipse MicroPen ™ which is less costly and painful than laser systems, yet just as effective. In addition, we are now offering Platelet Rich Plasma, also sometime called the Vampire facelift. 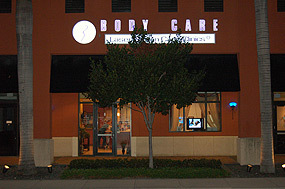 At BodyCare our focus is your satisfaction. We maintain the highest standards in the industry and have an unprecedented level of client satisfaction. What makes Body Care unique? We go the extra mile to make sure you are completely satisfied with your results. If you're not happy, we're not happy. 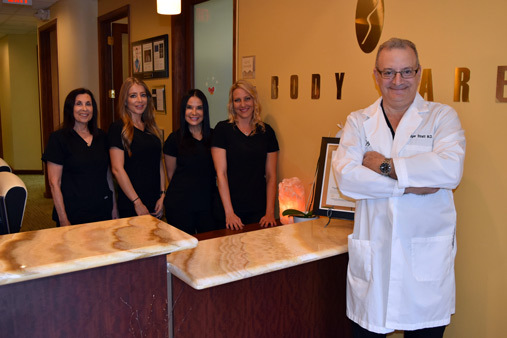 At Body Care, we use a team approach and strive to ensure that you not only get excellent results, but, also have the highest level of medical and nursing support, before, during, and after your procedure. We won't leave you hanging. From the moment of your initial consultation, you will be guided and supported. 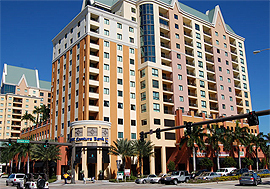 We are conveniently located in downtown Fort Lauderdale in the heart of the banking center and within walking distance to Las Olas Blvd. Whether you are looking to remove stubborn areas of fat, smooth out cellulite, or rejuvenate your smile, we have the solution for you. Call or stop by for a free no risk consultation. We are here to serve you. Dr Stratt, Founder & Chief Surgeon, is an accomplished physician with years of experience. Before entering the world of aesthetic medicine and surgery he spent nearly 10 years as an attending Emergency Trauma physician. After years of being on the "front line", Dr. Stratt changed directions in his career and is now one of the most sought after liposculpture surgeons and artists around. R.G. Stratt has trained with some of the most prolific and accomplished cosmetic surgeons in the world. He is a member of numerous prestigious organizations including the American Academy of Cosmetic Surgery, The American Society of Lipo-Suction Surgery, the American Society of Laser Medicine and Surgery, as well as the International Society of Cosmetic Laser Surgeons. Dr. Stratt is the president and founder of the American College of Cosmetic Physicians. In addition, his vast experience as an Emergency/Trauma Physician along with our fully trained and certified nursing staff, will assure your safety during any procedure. Even though our safety record is impeccable, our Operating/Procedure room is fully equipped for any eventuality. His practice focuses on body contouring and Laser Lipolysis (also know as SmartLipo), as well as tumescent liposculpture. He is also certified to perform Botox injections, laser hair removal, IPL fotofacials, and deftly applied dermal fillers, Restylane, and Juvederm. With great pride, Dr, Stratt brings his state-of-the-art clinic to Fort Lauderdale conveniently located in the downtown area. The clinic provides the most advanced laser medical and surgical systems available in a very relaxing and well appointed environment. His staff of nurses, laser technicians, and aestheticians is the most qualified, highly trained, caring, and compassionate staff that one could possibly find. The team will ensure that your visit will be a highly rewarding experience both emotionally and physically.